Reading Corner: These books are sham"rock'n"! We have a lovely time in this space. 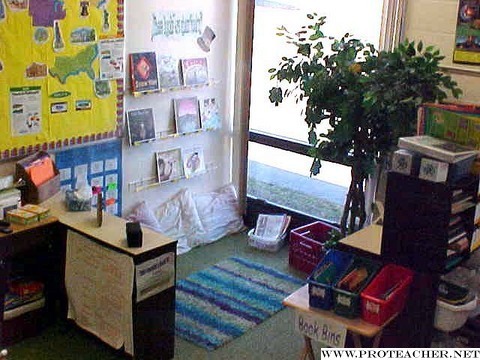 With a rug and pillows, students are always comfy. There is a shelf for each students to place their book recomendations. It is titled: These Books are Sham-rock'n! The tree has shamrock book reviews hanging from it as well. There is a bin of class made books and the 2 shelves are organized by genre. You can also see the book check out system. Each student is assigned a number. They may check out 2 books at a time.